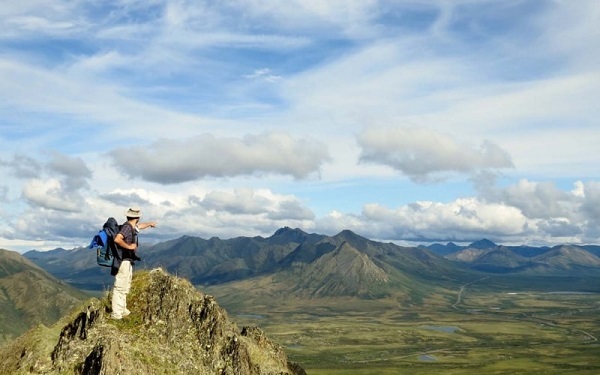 As the largest province in Canada, Quebec hosts a wide array of wilderness from mountainous plateaus, boreal forest to rugged coastal cliffs and lowland plains. Unsurprisingly then, there is a large network of national, provincial and regional parks that protect and share these landscapes. 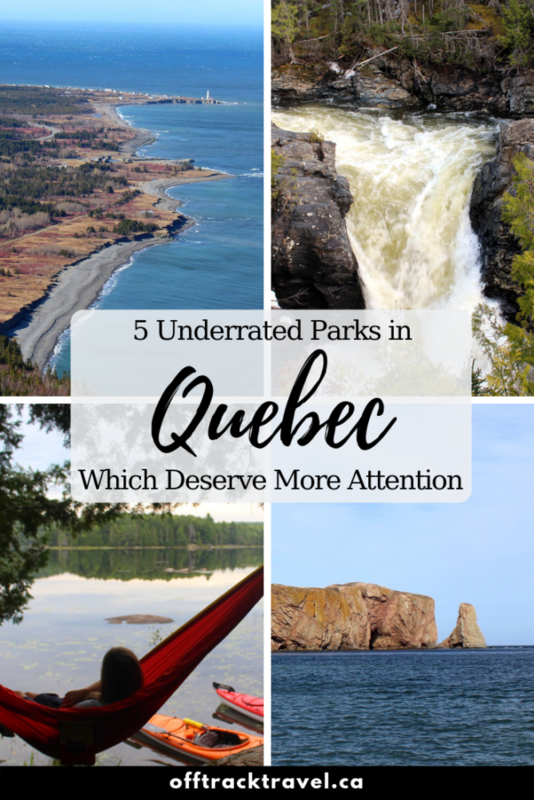 Some of these parks are more well known than others, notably Mont Tremblant or the Saguenay Fjord. There are, however, plenty more than don’t get mentioned nearly as often. Here are five of those such parks, all of which absolutely deserve more attention. 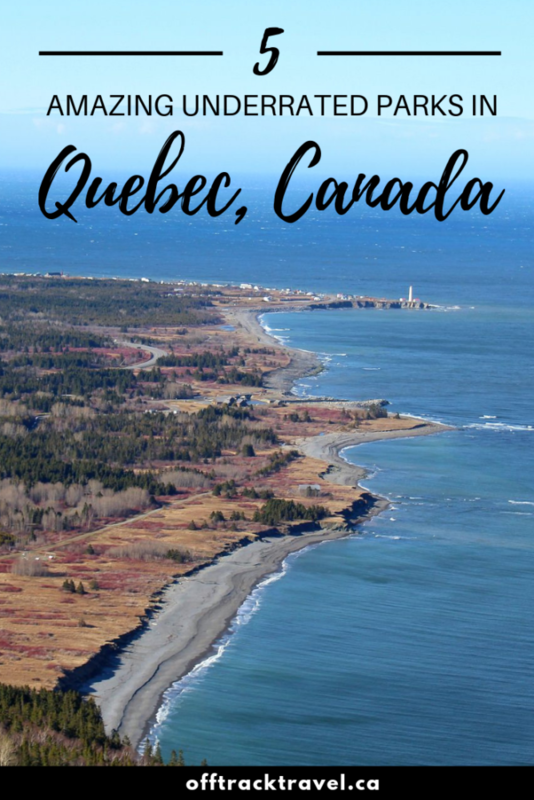 The Gaspésie isn’t all about the coast. The spine of this jutting peninsula forms part of the Appalachian mountain range. 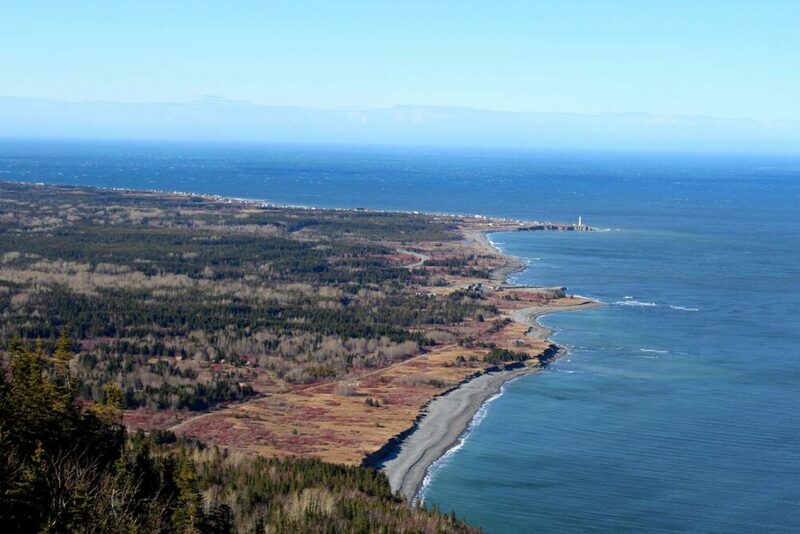 Gaspésie National Park protects a core area of peaks and rivers, inviting visitors to explore from valley bottom all the way into the alpine. 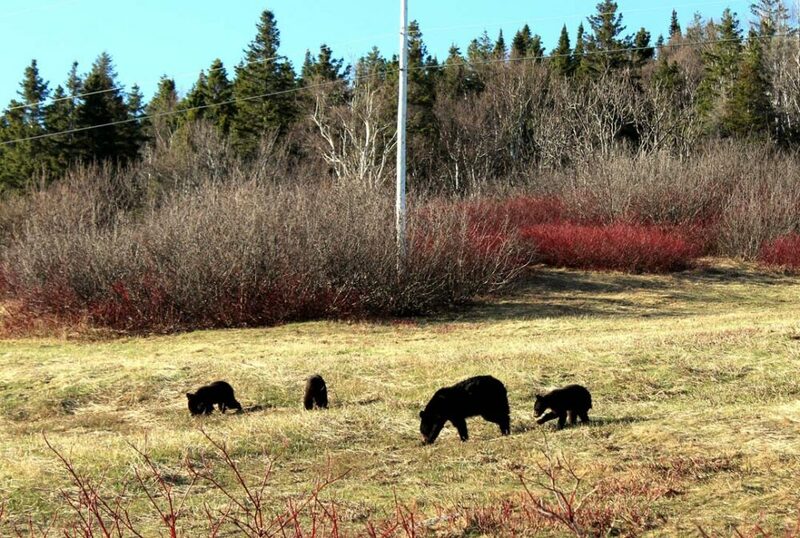 It’s a landscape that provides a home to some of Quebec’s rarest and most endangered wildlife. This is a side to the Gaspésie that so many would not expect. 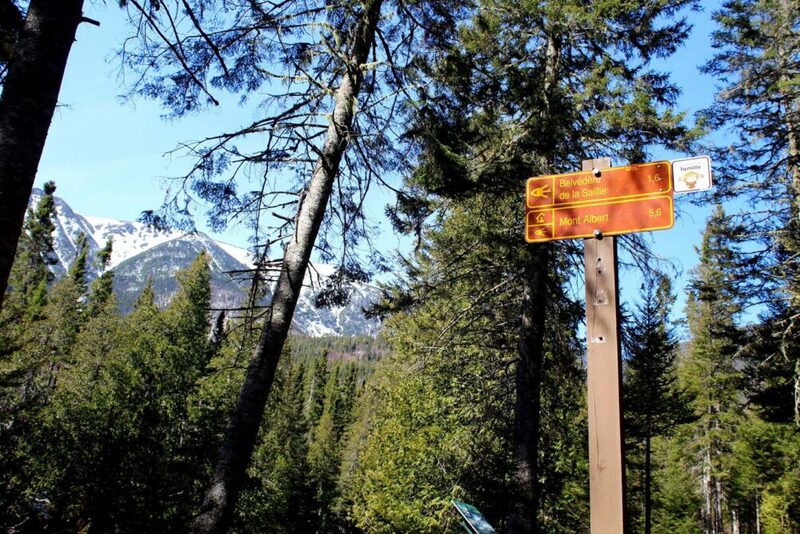 Without a doubt, the number one summer activity in Gaspésie National Park has to be hiking. In addition to plenty of day hikes, the International Appalachian Trail runs through the park and lends itself to some fantastic multi-day hiking. 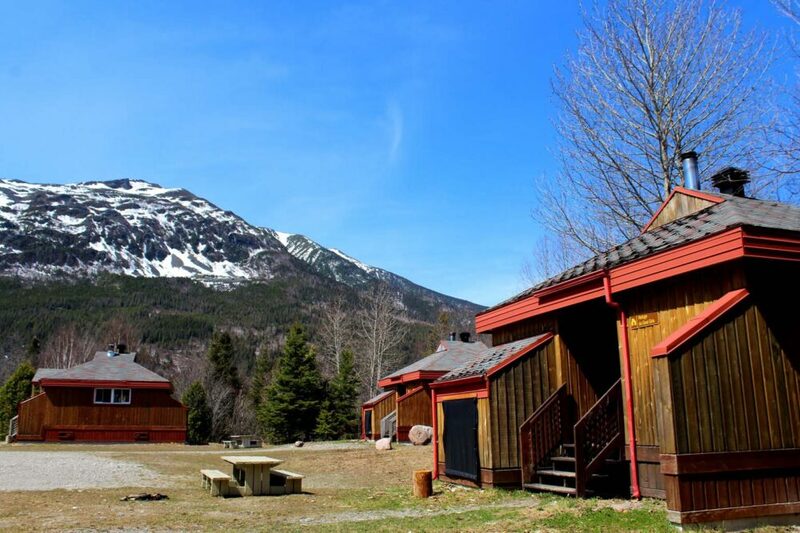 There are a number of basic huts located close to trails for overnight stays, plus bus shuttles available for both baggage and passengers. This Quebec park is found to the northern centre of the Gaspé Peninsula. 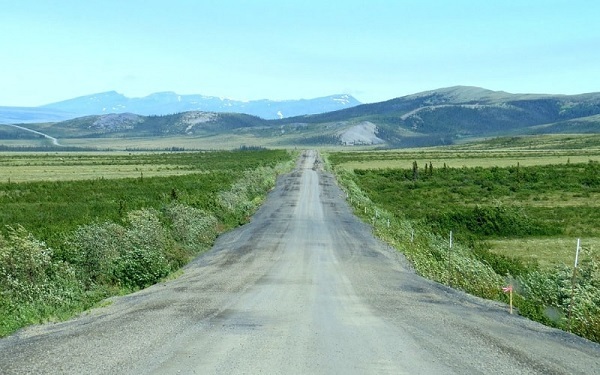 It is accessible via Highway 299 to the south and north. Standard Quebec National Park fees apply in Parc National de la Gaspésie – $8.60 per day, per adult. Children 17 and under go free. 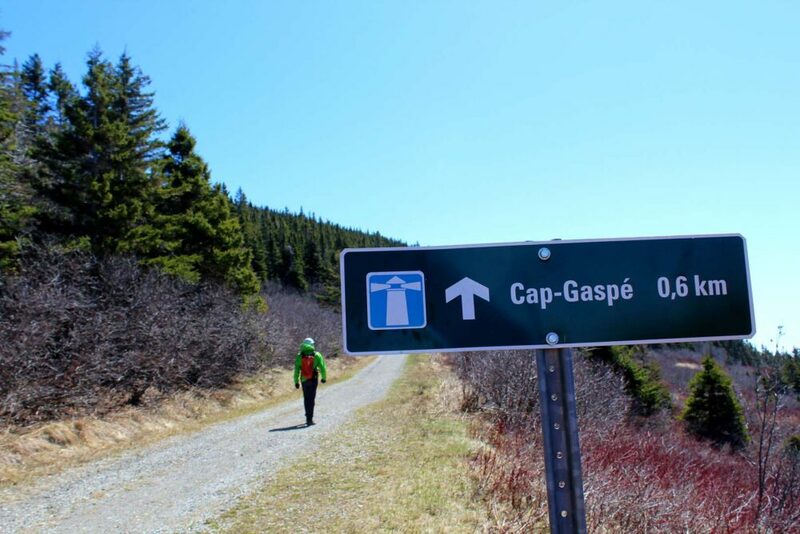 Gaspésie’s barren, plateau topped mountains are unique and endlessly scenic to hike. They are also the home to the incredibly endangered woodland caribou, which you may be lucky enough to spot when exploring Gaspésie National Park! 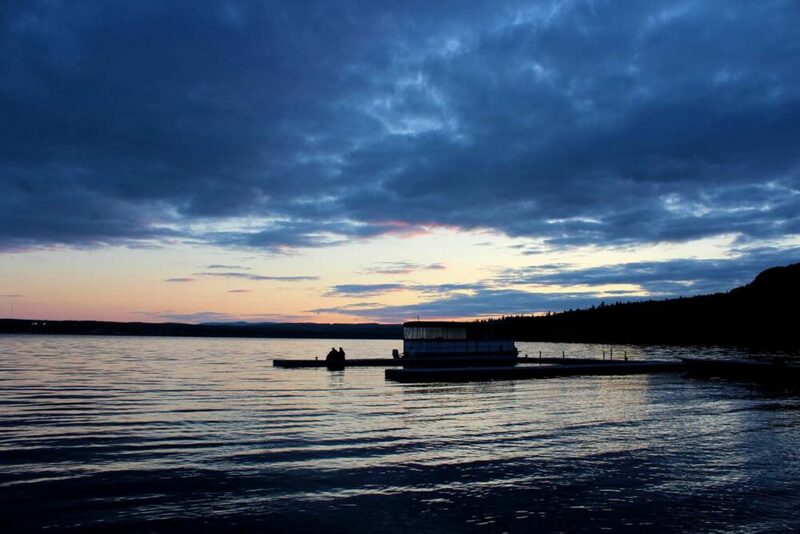 Lac Témiscouata showcases a welcoming blend of woods and water, centred around the moody namesake lake. Naturally, Témiscouata offers fantastic paddling opportunities on both the main lake and also on Petit Touladi and Grand Touladi lakes. If you don’t have your own boat, kayak and canoe rentals are easy to organise within the park. 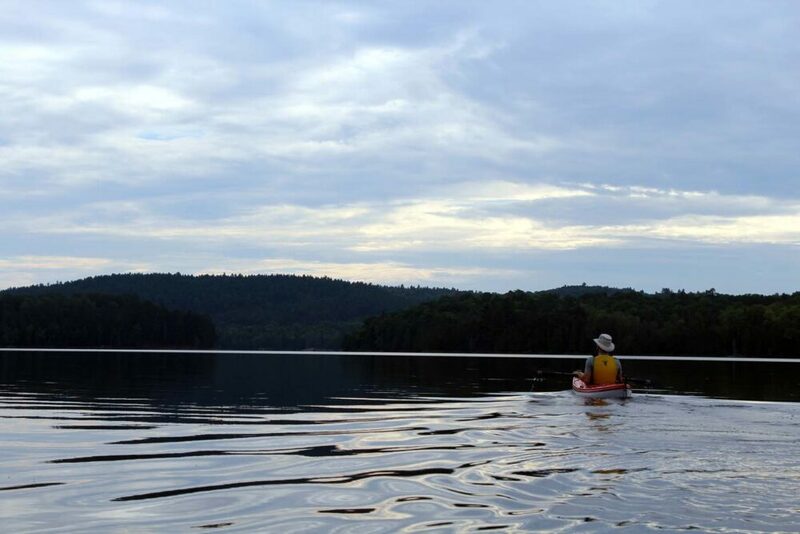 But paddling is only part of the story of Lac Témiscouata. Whether you like to hike, cycle, fish or just explore nature, there’s something to suit you here. For those who want to learn more about the geology and history of the area, Lac Témiscouata offers an extensive daily program of activities and immersive experiences (suitable for adults too). 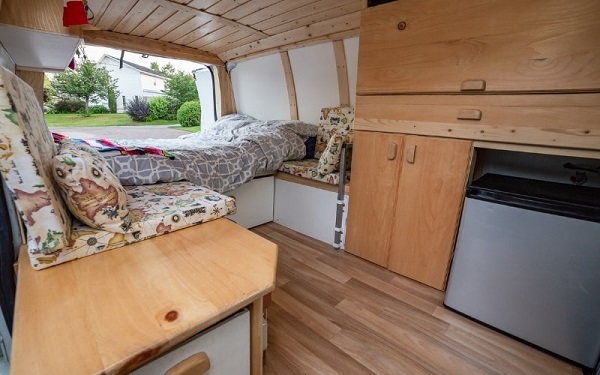 For cyclists visiting the park, Témiscouata has put aside several premium waterfront camping spots. 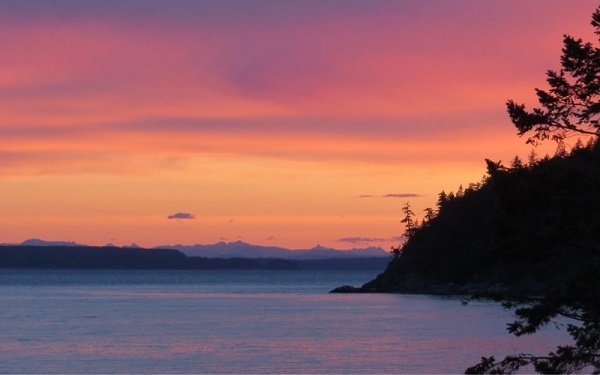 Located a couple of kilometres along the shore from the Anse-à-William campground, these cyclist campsites are extremely private and have a fabulous sunset view. For paddlers, there are also canoe accessible only campsites on Grand lac Touladi. For something a little different, it is also possible to sign up for a Rabaska experience, paddling a traditional birchbark canoe. There are other opportunities to learn about First Nation culture in the park via sessions led by the resident archaeologists. Lac Témiscouata borders Highway 1 (Highway 85) in the Bas Saint Laurent region of Quebec. 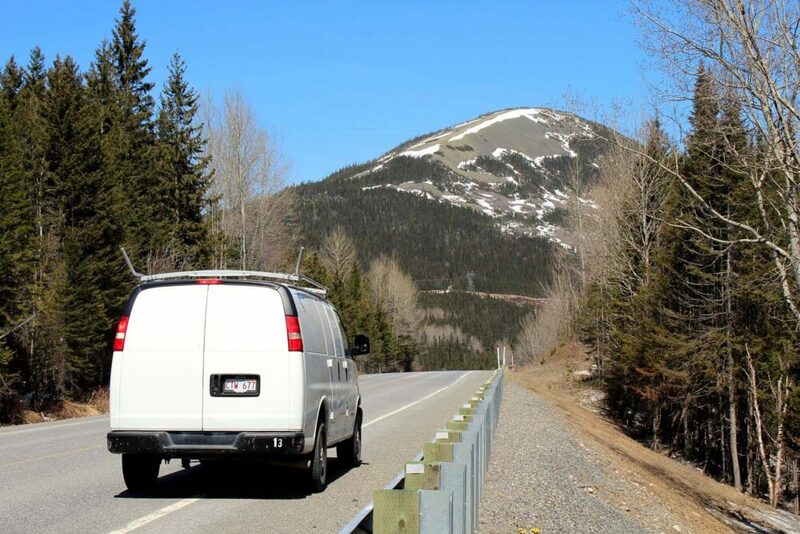 If driving, the park is accessible via a vehicle ferry in Notre-Dame-du-Lac or highways 232 and 295. Lac Témiscouata may only be an hour or less from Highway 1 but can feel like a world away. Bordered by the lake on two sides and with limited entry points, Témiscouata Park is surprisingly isolated for a place so close to civilisation. While the main draw is, without a doubt, Lac Témiscouata, visitors stay for the varied recreational opportunities and programs. 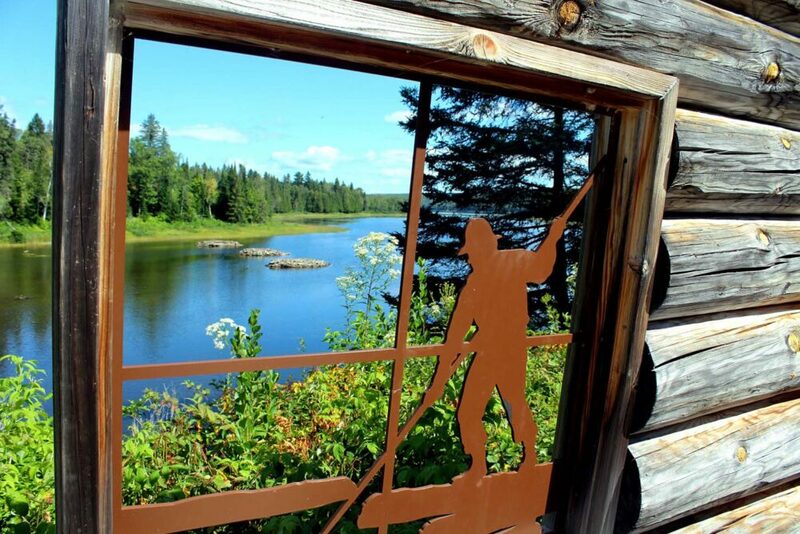 One of the latter is the park’s interesting archaeological program that aims to connect visitors with Lac Témiscouata’s first inhabitants. Standard Quebec National Park fees apply in Parc National du Lac Témiscouata – $8.60 per day, per adult. Children 17 and under go free. A park with a real end of the world feel, Forillon National Park occupies the tip of Quebec’s wild and windy Gaspé Peninsula. One of the most popular hikes (Cap-Gaspé), goes all the way to Land’s End where the rock tumbles into the often frigid St Lawrence River. Forillon is divided into a couple of different sections (or secteurs), all with camping and other recreation opportunities. We spent most of our time in the south area, hiking the trails along the ocean, learning about the historical significance of the area and observing the local wildlife. Concerning the latter, never have I seen so many animals in such a short time at any of Canada’s National Parks. One particular day, we saw one moose, six porcupines, eight black bears (including cubs) and a lynx. Alongside the regular National Park acivities (hiking, camping et al), there are a few more unusual activities in Forillon that you may not expect. One of these is whale watching. There are regular departures from the Grande-Grave (South Area) harbour in summer, offering the chance to see white-sided dolphins, harbour porpoises and humpback whales. If that isn’t quite immersive enough for you, it is also possible to go scuba diving in the cold yet abundant waters of the St Lawrence River. Forillon National Park is situated at the very end of the Gaspé Peninsula, just under 700km northeast from Quebec City. Forillon National Park is located in a place that isn’t really on the way to anywhere. To visit Forillon, it’s not a matter of just driving past, it has to be the destination. 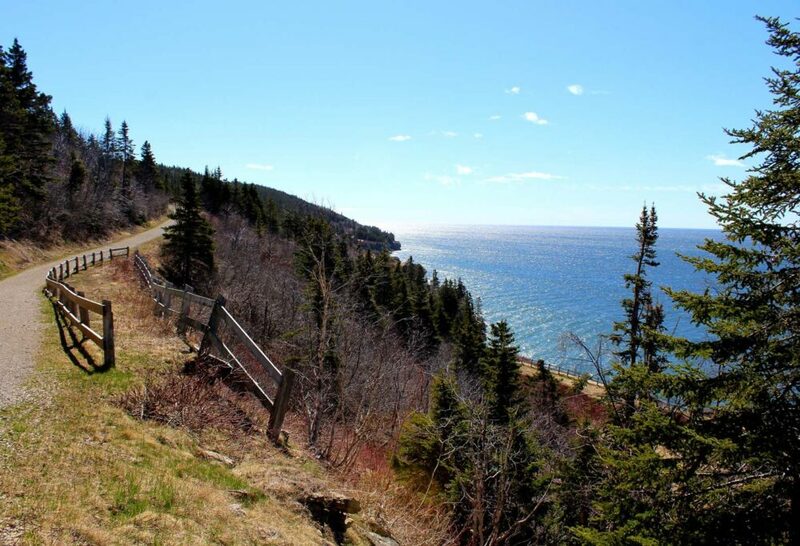 For this reason, Forillon remains a quietly impressive place, drawing dedicated visitors wanting to explore rugged coastal scenery and peaceful interior forests. It’s a real off the beaten path gem, especially for those who love wildlife. Forillon is a National Park of Canada and standard Parks Canada admission fees apply from June 25 to September 3. In shoulder season (early June, late September), lower fees are charged. 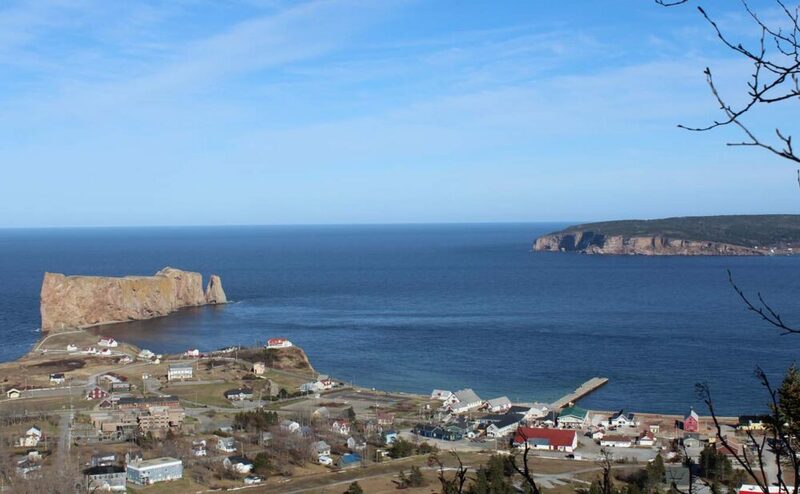 An impressively long name for an impressive park, Parc national de l’Île-Bonaventure-et-du-Rocher-Percé consists of two natural wonders. Bonaventure Island is one of the world’s largest bird sanctuaries, with over 280,000 birds calling this land home. A little closer to shore, Percé Rock is a huge striking formation jutting out from the St Lawrence River. It’s a pretty dramatic sight no matter what angle you see it from! 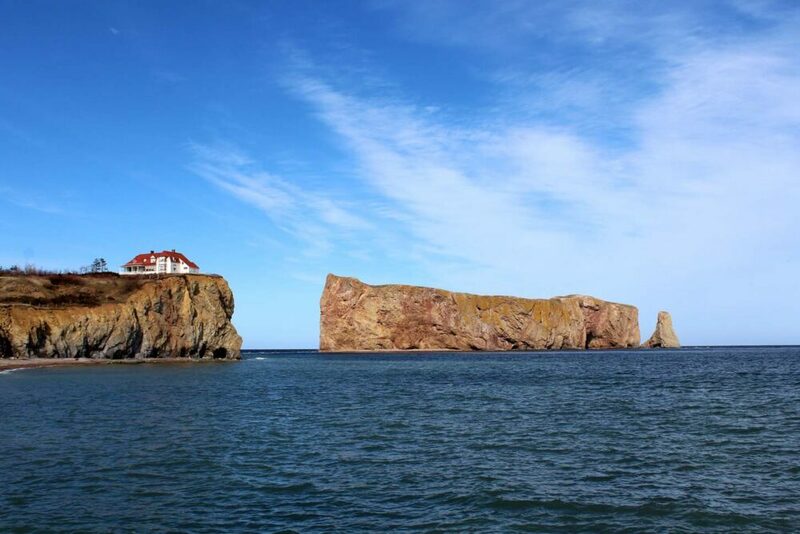 A boat trip is the easiest way to get a close up look at both Percé Rock and Bonaventure Island. Several cruise companies offer tours, both with the additional option of whale watching in the surrounding area. 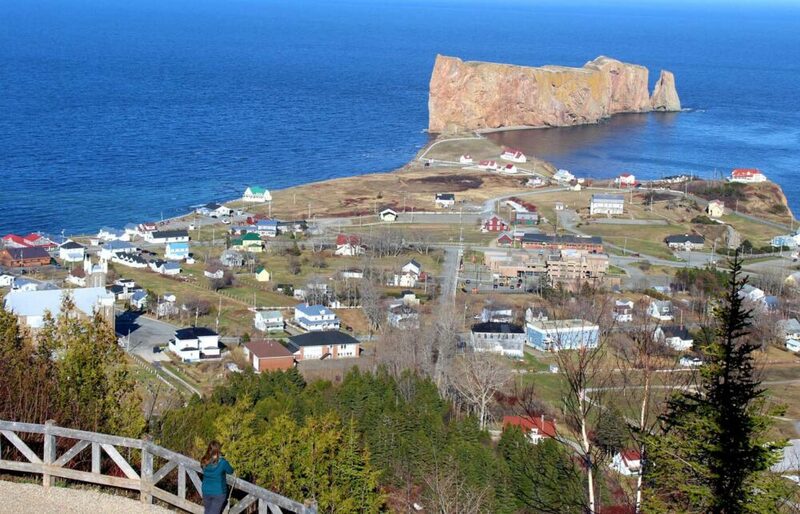 One way to get an overview of the whole park is to head to Percé’s GeoParc. 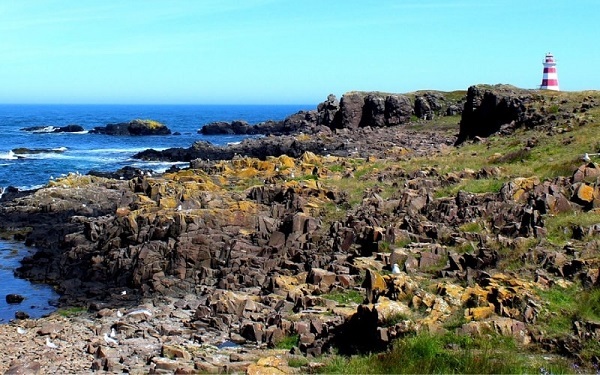 Not only can you learn more about the remarkable geology of the area, but hiking the trails behind the campground lead to amazing panoramas of the bay. Percé Rock can be found just off the coast of Percé, on the Gaspé Peninsula’s southeastern shore. Bonaventure Island is 3.5km from this coastline. 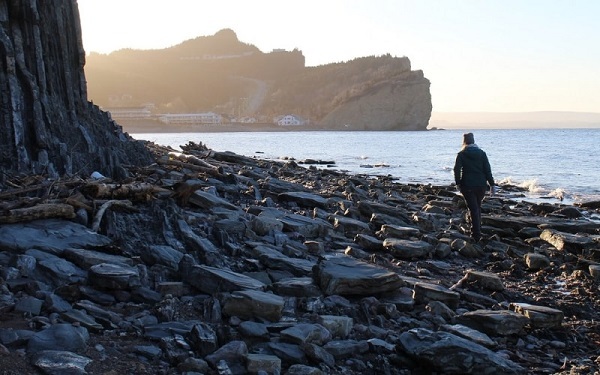 Aside from the obvious wonder of Percé Rock, it is notable that bird sanctuaries of Bonaventure Island’s size are not typically accessible to visitors. The island also has an interesting (and also sad) history, having been used as a seasonal fishing port and later colonised by Irish settlers. Prior to the park’s creation, all of the local residents were forcibly removed in the early 1970’s by the Quebec government. Standard Quebec National Park fees apply in Parc national de l’Île-Bonaventure-et-du-Rocher-Percé – $8.60 per day, per adult. Children 17 and under go free. It may not yet have national or provincial park status in name, but Gatineau Park has a surprising amount of variety and size of wilderness. This is especially true considering that the park is only a fifteen-minute drive from the cities of Ottawa and Gatineau! For this reason, Gatineau Park is the perfect place for a quick getaway from the city or a short detour on a longer Quebec road trip. 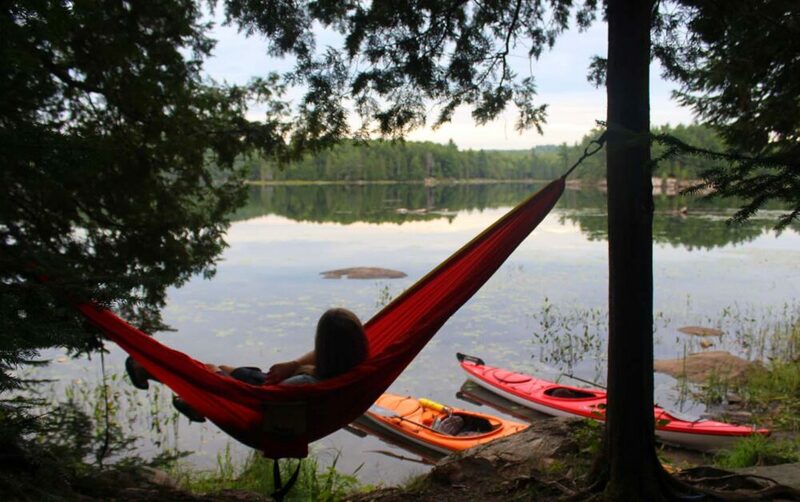 La Pêche is the largest lake in Gatineau Park and has much to offer for both day-trippers and those looking for a taste of wilderness. The long sandy beach has washrooms, change rooms, picnic tables and a lifeguard during the summer months. 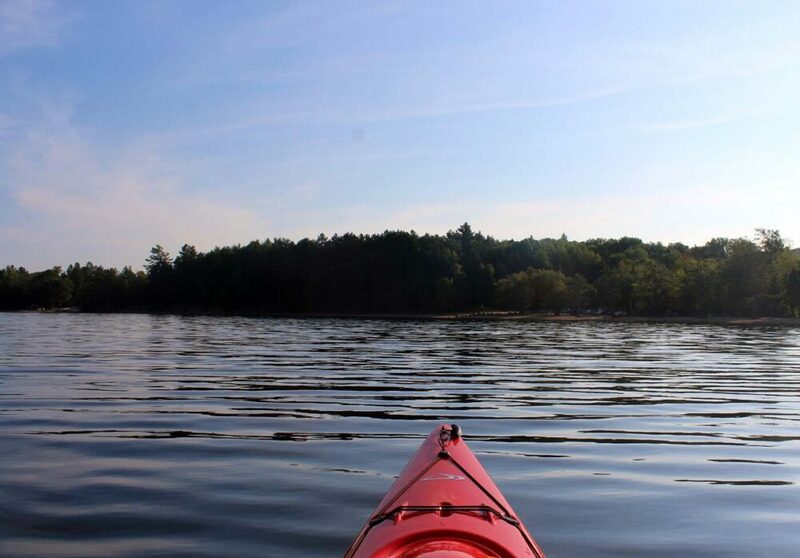 There are also canoe and kayak rentals, which you can use to access one of the 32 wilderness campsites located at 12 locations around the lake. If you don’t have your own camping gear, there are ready-to-camp options available elsewhere in Gatineau Park. Gatineau Park is most easily accessed from Highway 5 between Ottawa and Wakefield. If you need supplies (or want a beer/ice-cream reward after a hike) head into the cute lakeside town of Wakefield. 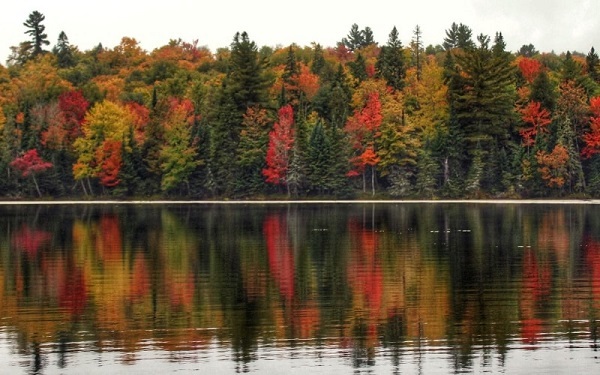 As well as being only a short drive away from Canada’s capital city, Gatineau Park’s diverse habitats are home to the highest number of rare or endangered species of any park in Quebec (118). 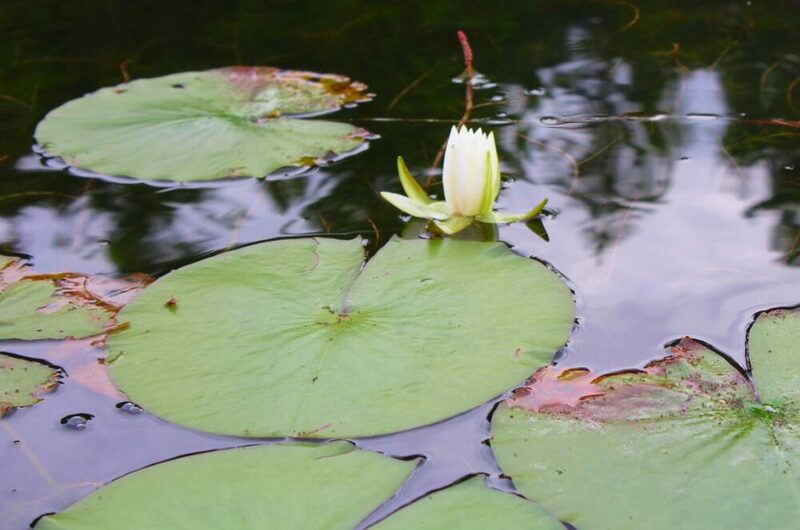 Access is free year round but there is a summer parking fee of $9-12 at the beaches (mid-June to September 3rd) and the Mackenzie King Estate (mid-May to mid-October). Thank you to Quebec Maritime and Outaouais Tourism for assisting our visit to these Quebec parks. 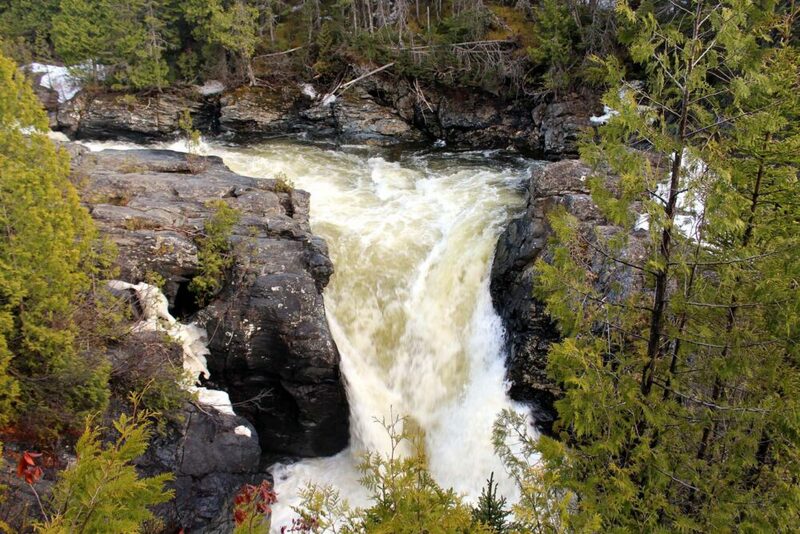 Which of these Quebec Parks is on your ‘must-visit’ list? Where have you already explored? Like this post? PIN or save it for future reference with one of the above images!